Saw one of these at Academy. Curious if anyone had opinions on it. Lower price point than the Predator PDL. It looks nice and just for fun that version has a rebate for a free fish finder if you purchase by 10/26. I fish with a guy who bought one and he likes his. It is very sturdy he says , and easy to lug around. It is however only 10 and a half feet long so you are giving up some room there. Me personally I love my PDL. Best kayak for me personally! I have the Topwater 120. It’s a very well designed paddle yak, especially if standing and fishing is desired. Extreme stable, comfortable seat, open cockpit and not too heavy. It isn’t the fastest paddle yak, but you’re going to lose speed when you add the width for stability. I’ve been cool with that trade off. I have the Topwater PDL and absolutely love it!The wide deck has plenty of room. The large rear tanks holds me crate and fish bag. The under the seat has room for 2 boxes of lures and plastics. It has preinstalled rail tracks and its maneuverability is like a sports car. I moved out fo a Hobie Outback into it and am so happy I did. Thanks for the feedback, really appreciate it! I will have a fishing yak eventually for the shorter trips when I don't want to mess with the work involved in launching the bay boat, but other things keep taking priority for the moment. 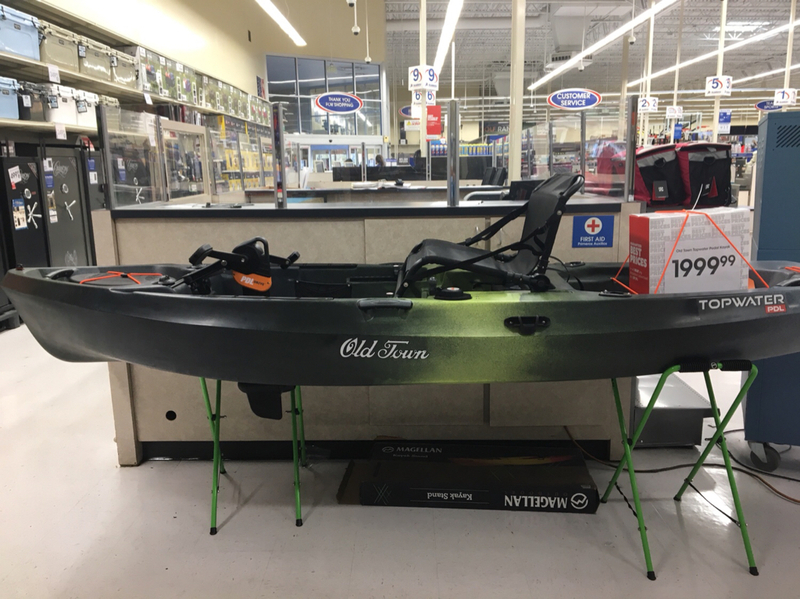 I am really encouraged that folks have found this to be a useful platform, as it has a more palatable price point for a kayak-novice like me. Appreciate the responses! The Hobie Outback has a lot lower seat position. My main concern with the 10’6 topwater pdl is the high seat position. Your coments would be appreciated. I find it’s a perfect height. I’m 6’ and it feels stable even when doing an aggressive hook set or reaching all around the boat.